On 15 May 2002, the eighth year anniversary celebration of the International Day of Families will be observed. 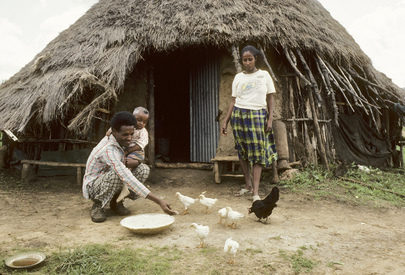 Proclaimed by the United Nations General Assembly in its resolution 47/237 of 20 September 1993, this annual observance reflects the importance, which the international community attaches to families as basic units of society as well as its concern regarding their situation around the world. The International Day of Families provides an opportunity to promote awareness of issues relating to families as well as to promote appropriate action. The Day can become a powerful mobilizing factor on behalf of families in all countries, which avail themselves of this opportunity and demonstrate support of family issues appropriate to each society. The international theme for 2002 is “Families and AGeing: Opportunities and Challenges”. This theme was suggested in the context of the Second World Assembly on Ageing to be held in Madrid in April 2002 and provides the opportunity to raise public awareness about crucial issues concerning families and older people. The family is the basic unit of society and as such should be strengthened. It is entitled to receive comprehensive protection and support. In different cultural, political and social systems, various forms of the family exist. Marriage must be entered into with the free consent of the intending spouses, and husband and wife should be equal partners. (d) Promoting equal partnership between women and men in the family.